Last year Audi unveiled PB18 – all-electric supercar, that absorbs Audi’s enhanced technologies from LeMans racing series. This week Audi claimed that PB18 is aimed for production in the near future. All-electric supercar is expected to be produced within a low-volume model, totalling for approximately 50 vehicles. The launch timing is not disclosed yet, though Audi speaks about competition to Tesla Roadster that comes to market in 2020. 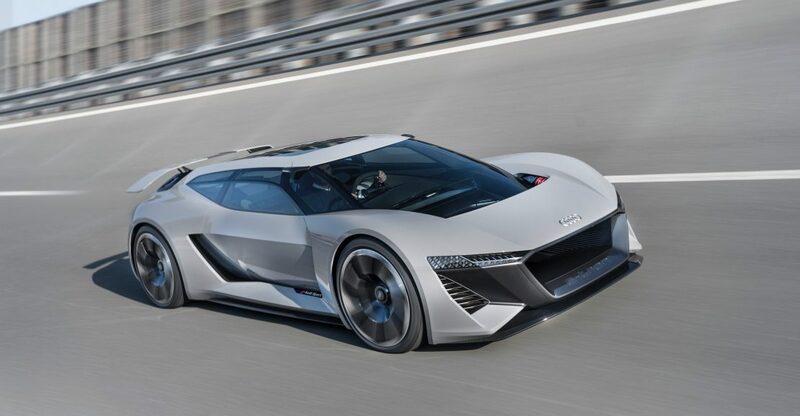 Audi PB18 accelerates from 0 to 100 km/h (62 mph) in 2 seconds, providing solid 830 Nm of torque to its driver. However, the really unique PB18’s feature hides in its interior – the passenger’s seat may be removed, while the driver’s monocoque with all controls moved to the center of a vehicle. Audi claims that in this mode the PB18 driver’s feelings should be close to LMP racing prototypes of the legendary LeMans.